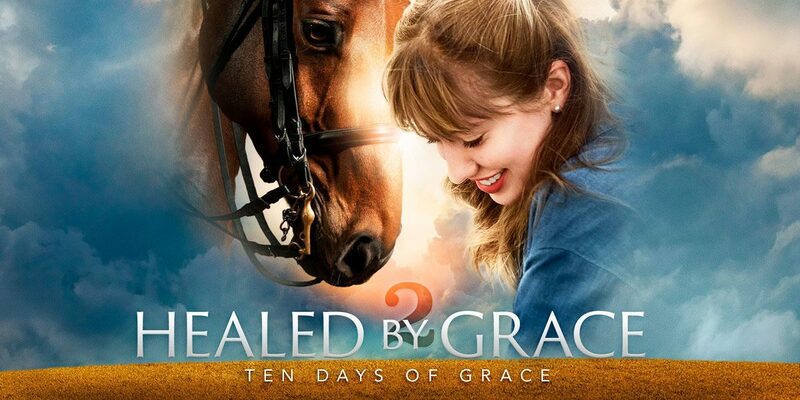 All in all, Healed By Grace 2 is a wholesome Christian drama that encourages families to be true with and support each other, lest uncomfortable secrets tear them apart. I thought this was a sweet little movie, although the plot was a bit slow-going and predictable. It was effortless to relate with all the characters and their backgrounds and I believe that factor adds memorable weight to any story line. The dialogue was poor, for the most part, which was a disappointment. You could probably watch this movie without any sound at all and still get the gist of it. Having never seen the first Healed By Grace, I would venture to say this sequel could stand alone by itself. It pretty much followed the stereotype of Christian movies these days: Cheesy and clique with tension carrying the plot and that good ol’ happy ending. If you’re a dreamer or a horse lover or a combination of the two, you’d probably enjoy this film. I’d say Healed By Grace 2 is appropriate for all ages but anyone younger than a nine-year-old would probably fall asleep since the plot isn’t very stimulating. From the perspective of a teen-aged girl whose movie picks generally include some sci-fi, fantasy, action/adventure, or thrilling aspects, I’d give Healed By Grace 2 a 2.5 out of 5 stars. Available now on digital from Amazon. Available on DVD on Sep. 18. Want to receive a copy of this movie? Leave a comment below and I’ll choose someone to receive a 2-DVD set that includes Healed by Grace and Healed by Grace 2. The recipient will be chosen on September 10, 2018. This giveaway has concluded. Sorry to hear that the dialogue was poor. Dialogue can make or break a movie! Thanks for commenting, Jim! I appreciate your continued support.